Videos have been displayed in Rampal on Monday on Village Court Activation Project (2nd Phase) with the financial and technical assistance of Local Government Department , EU and UNDP. This program has been implemented by their local supportive organization Wave Foundation. The videos have been displayed in the four Wards of four Union including Rampal Sadar Union, Perikhali Union , Bashntali Union and Mollikerber Union.The aim of the program is to know the service and benefit as well as to aware the people of the the Village Court. 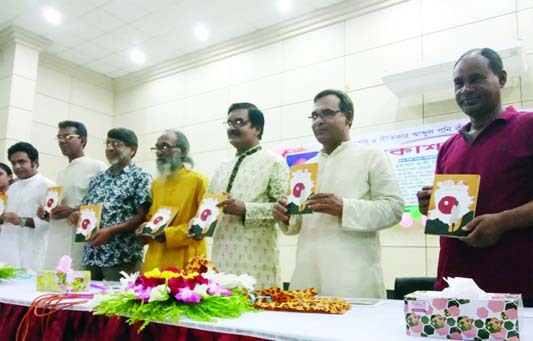 At that time , member of the concerned ward representatives of the Civil Society, Upazila Co-ordinator of the Program, people of different classes and professions and village court assistant were present in the function. After the programme, a quiz programme was also arranged and distributed prize among the winners. Bangabandhu Goldcup and Bangamata Fajilatunnesa Football Tournament Final and prize giving ceremony were held at Gafargaon under Mymensingh on Thursday afternoon . AC (Land) Ashraf Siddiki presided over the ceremony. 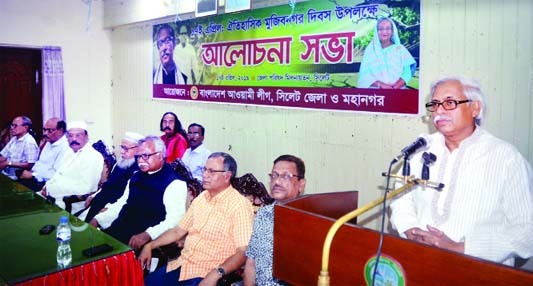 Upazila Chairman Asraf Uddin Badal was the chief guest. Al Leader and Human Rights activist Masud Hussain Sohel, Education Officer (In-charge) Hafijul Islam, Asst.Education Officer-Shahin Islam, Monirul Ameen, Kushol Ahmed Rony, Sabuj Mea, Najmul Huda, Jannat Ara and delivered in the meeting. Dewlpara Govt.Primary School got championship in Bangamat Final Tournament at the ground of Gafargaon Ismaia Govt. High School. Sipan Govt. Girls' Primary School became champion in Bangabandhu Goldcup Football Tournament Final at the same field. RAJSHAHI: A total of 10 patients suffering from various chronic diseases like kidney complaint, liver cirrhosis, heart ailment,cancer and paralysis caused by stroke received financial support worth around Taka five lakh here on Saturday. Department of Social Services (DSS) provided the support. Deputy Director Office of DSS organized the cheque distribution programme in the conference hall of deputy commissioner (DC). On the occasion, some other students and affected persons got financial support for treatment and education from National Social Welfare Council. Fazley Hossain Badsha, MP, deputy director of DSS Rashedul Kabir and its Assistant Director Dr Abdullah Al Firoj were present on the occasion. Speaking on the occasion, lawmaker Badsha said the present government has taken many steps for the welfare of patients to help them pass their days without difficulties. "Considering their vulnerable condition, the government has launched welfare programme," he said. The beneficiaries have been getting their allowance timely through their own bank accounts, reports BSS. A youth was caught red handed while stealing at Daulatpur village and was killed by mass beaten at Gafargaon Upazila recently . The deceased was identified as Sujon Mea (40) ,son of Abdul Hye at Atharodhana village of Gafargaon Upazila. Police informed, the deceased Sujon after stealing at Najmul's house at Daulatpur village ,went to steal at Siraj Uddin's house with goods. During that hours, the owner of the house became alert and cried out loudly . Then the people came to the spot and caught Sujon red handed with goods. Later, excited mob beat him mercilessly and he died on the spot. Gafargaon Thana police recovered the dead body from the spot and sent it to Mymensingh Medical College Hospital for autopsy. Abdul Ahad Khan OC of Gafargaon Thana informed, goods of theft was found by the side of the dead body of Sujon killed by mass beaten. Police recoverd the dead body and belongings.